Videos are always said to be more engaging than any other form of representation. The same holds true at retail outlets as well. E-commerce has definitely kicked off putting the in-store purchasing at a greater risk. Hence, it is up to the retailers to come up with a brainwave of some sort to increase the retail store traffic. And the answer to it is the LED displays where the retailers can broadcast the demonstration of how a new product works, the recipes of popular food items, or the discounts being offered to increase the footfall. LED screen rental Dubai can be the solution for many retailers who want to experiment before they take a deep dive into the concept. Why are LED screens important for a retail business? Customers today want to acquire an in-depth knowledge about the product they are contemplating to buy. They aspire to have complete access to the product information, trusted opinions, and the best deals available on various shopping outlets, be it online or in-store shopping. The LED screens are basically a medium to deliver all this information to the potential customers in a subtle way in form of advertisements, demonstrations, customer interviews etc. It is found in a Cisco survey in 2011 that, 68% of the shoppers take the customer reviews into consideration before purchasing an item. And what could be a better way than a visual, interactive, and immersive experience on an LED screen. Customers of late try to relate their shopping experience to the feedback given on social media by the previous buyers. It’s the retailers’ job to project the convincing and consistent content to back the feedback given or prove it otherwise. The LED screens play a major role in communicating the same to the customers. The retailers can bring virtual in-store experience to the customers by providing a complete product catalog and the endless aisle experience to make the product easily available to the customers. An interactive experience can also be offered to the customers where they can view the product information, customer feedback, product recommendation and even a live discussion with the product expert can also be arranged. The LED screens in the retail outlets can help in building brand awareness among the customers by communicating the current marketing trends and merchandising strategies, which can, in turn, build brand loyalty. The LED screens help in promoting the products and bridge the gap between the manufacturers and the customers more honestly. The customers are fed with information through various channels like social media, consumer websites, blogs, thereby depriving them of the direct advertisements from the manufacturers. The LED screens present a great way to communicate their product information to the consumers. 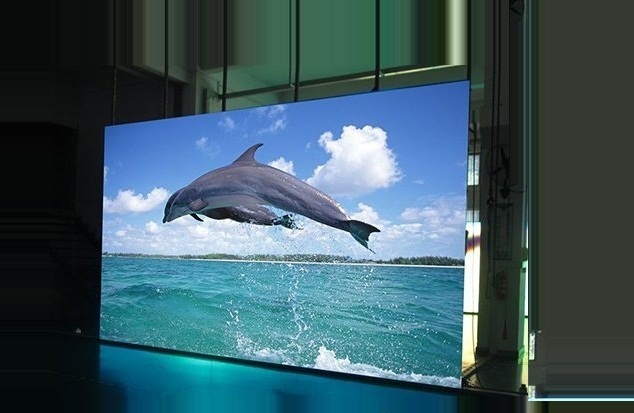 For LED screen rental in Dubai, contact us at +971-55-5182748 or visit our website www.vrscomputers.com.